Robert E. III passed away on April 19, 2019. He was the son of Margaret Gildea (Thomas) and the late Robert E. Normile, Jr.; father of Robert Nicholas; brother of Jennifer Thomas (Louis); step brother of Veronica Gildea; grandson of Joan and Eugene Gildea. Relatives and friends are invited to his viewing, Wednesday, April 24, 2019 from 6-8 pm at Wackerman Funeral Home 8060 Verree Rd. Philadelphia, PA 19111. Mam Van passed away on April 8th, 2019, He was the beloved husband of Thoa (nee Bui) devoted father of Tuyet, Dung, Hung, Ha and Duc. Relatives and friends are invited to his viewing Wed. April 10th, 2019 from 6-9PM at Wackerman Funeral Home 8060 Verree Rd. Philadelphia, PA 19111 and Thursday April 11th 9-11 AM. Interment will be in Holy Sepulchre Cemetery. Floral deliveries may be made directly to the Funeral Home by 3 PM on Wednesday April 10th. James "Ray" died suddenly on April 5th, 2019 at age 58. Beloved husband of Jim Campbell of Palm Springs, CA. Dear son of Bruce and Hannah Erdman of Philadelphia. Devoted brother of Rick Keller (Jennifer) of Philadelphia, Wanda Naussner of Ocala, FL, Karen Keller (Marie) of Ellenton, FL, Kay Brookes (Bob) of Philadelphia and Kathy Borrelli (Tony) of Port St. Lucie, FL. Also survived by many nieces and nephews. Relatives and friends are invited to pay their respects to the family Saturday, April 20th 10 AM at Wackerman Funeral Home 8060 Verree Rd. Philadelphia, PA 19111. Eulogy and words of remembrance beginning at 11 AM. Donations in his memory to www.psanimalshelter.org would be appreciated. Floral deliveries may be made directly to the funeral home Friday April 19th by 3 PM. Barbara B. (nee Guthrie) on 5-6-2018. Beloved wife of the late Arthur W. devoted mother of Bonnie J. Lasley (Barry), Arthur K. Hargrove (Karen), Thomas E. Hargrove (Debbie Rodenberger) and Debra L. Clauser (Steven). Dear sister of Thomas Guthrie, also survived by 7 grandchildren, 14 great grandchildren and 1 great great grandaughter. Graveside service will be held Monday, April 15th, 2019 at the Fort Myer Old Post Chapel at Arlington National Cemetery 11 AM. In lieu of flowers donations in her memory to curemeso.org would be appreciated. Cecelia A. on March 21, 2019. Beloved wife of the late William J. Survived by Russell Myers Jr., Linda Myers, Russell Myers III, his wife Megan and their children Russell IV, Jacob, and Claire and many other "great great" nieces and nephews. Relatives and friends are invited to her viewing Friday, May 29th, 9:00 AM St. Joseph Church 7631 Waters Rd. Cheltenham, PA 19012 followed by Funeral Mass 10:00 AM. Interment Our Lady of Grace Cemetery. Floral deliveries to St. Joseph Church Friday by 8:30 am. E. Patricia "Pat" (nee Jennings) passed away on March 29, 2019. She was the beloved wife of the late Thomas J.; devoted mother of Patricia Anderson (Glen), Kathleen O'Donnell (Jim), Susan Myers (Phil), Claire Jankiewicz (Steve), Thomas McVaugh and Marianne Everett (Jason). Loving mom-mom of 14 grandchildren and 10 great grandchildren. Relatives and friends are invited to her viewing, Wednesday, April 3, 2019 from 7 to 9 pm at Wackerman Funeral Home 8060 Verree Road Philadelphia, PA 19111 and on Thursday, April 4, 2019, 9:30 am at St. Cecilia Church followed by Funeral Mass at 10:30 am. Interment will be in Holy Sepulchre Cemetery. Donations in her memory to The American Cancer Society at www.cancer.org would be appreciated. Floral deliveries to Wackerman Funeral Home Wednesday by 3:00 pm. Rev. 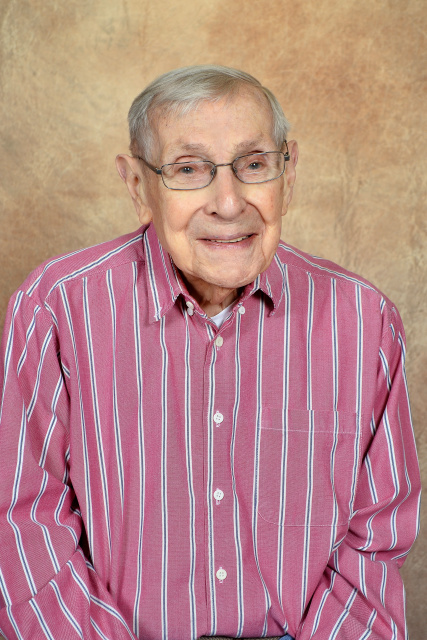 Carl E. passed away on April 1, 2019. He was the beloved husband of the late Elizabeth (nee Cameron); devoted father of Garth; dear brother of Virginia Malcolm; loving uncle of Don Malcolm. Relatives and friends may pay their respects to the family on Saturday, April 13, 2019 from 9:00 am until 10:45 am at Holy Nativity Episcopal Church 205 Huntingdon Pike Rockledge, PA 19046. Funeral Service will begin at 11:00 am. Interment will be private. In lieu of flowers, donations in his memory to Holy Nativity Episcopal Church would be appreciated. 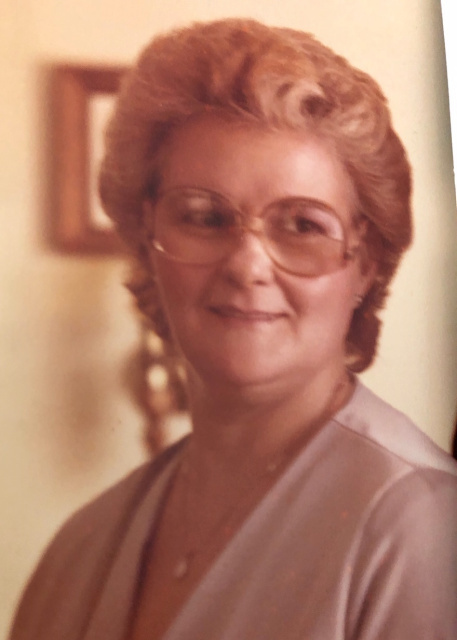 Theresa M. "Terri" "Tess" (nee Rutledge) passed away on March 21, 2019. She was the beloved wife of the late Frank M.; devoted mother of Patty Kleis and her husband John; loving mom-mom of Kerryn Elizabeth and Brenna Kathryn; beloved daughter of the late Elizabeth and James Rutledge; dear sister of Michael and the late Joseph and Paul Rutledge. Relatives and friends may pay their respects to the family on Wednesday, April 3, 2019, 9:30 am at Nativity of Our Lord Church 625 West Street Rd. Warminster, PA 18974 followed by Funeral Mass 10:30 am. Interment will be in Holy Sepulchre Cemetery. In lieu of flowers, donations in her memory to Pennsylvania SPCA 350 East Erie Ave. Philadelphia, PA 19134 or Susan G. Komen Breast Cancer Foundation 125 South 9th St. Suite 202 Philadelphia, PA 19107 would be appreciated. It is with great sadness that the family of Ronald G. Evans announces his sudden passing on Tuesday March 5, 2019, at the age of 86. He was the son of the late Herbert T. Evans and Florence J. (Goebel) Evans. He is the loving husband of Margie Evans. In addition to his wife, he is survived by his children and grandchildren, son Kyle (Amy), Kristen (Chris), and Kara (Charles). Grandad will be sadly missed by his 16 grandchildren Christopher, Corey, Bryce, Chase, Kennedy, Ella, Ana, Brooke, William, Charlotte, Henry, Luke, Declan, Nevis, Amelia and Herbie. He was preceded in death by his sister Florence Potts and brother Herbert Evans. Ron was proud of his military service in the 101st Airborne, his 69 years at Wackenhut (running his company until the day he died), spending summers on the beach as the 'King of Cape May', taking long walks on the beach of Marco Island, traveling the vast beauty of the United States with family, showing off his athletic ability as 'Leon' with his pool volleyball friends, relishing in his beloved Eagles Super Bowl win, hunting for local culinary gems along the Delaware with his wife Margie and most of all, spending time loving, caring, providing and putting his finishing touches on his life's greatest accomplishment - his FAMILY. A funeral service in memory of Ron will be held Wednesday, March 13, 2019, 11 AM at Saint Cyril of Jerusalem Church (1410 Almshouse Road Jamison, PA 18929). A viewing will precede the services from 9:30-11. Interment will follow in the family plot at Lawnview Cemetery (Rockledge, PA 19046). Those who desire may make memorial donations in memory of Ronald to Wesley Enhanced Living Foundation 626 Jacksonville Road Warminster, PA 18974. Floral deliveries to St. Cyril Church Wednesday by 8:45 am. 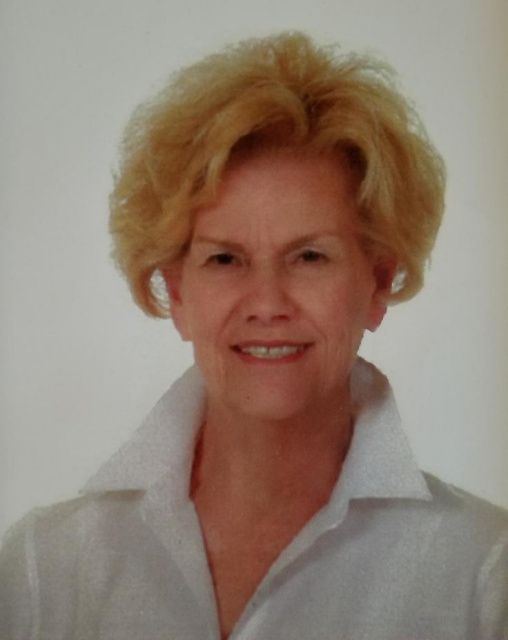 Marlyn E. "Lynn" (nee Davies) passed away on March 14, 2019. She was the beloved wife of Joseph C. and is also survived by devoted nieces and nephews. Relatives and friends are invited to her viewing Thursday, March 21, 2019, 9:30 am at St. Cecilia Church 535 Rhawn Street Philadelphia, PA 19111 followed by Funeral Mass 10:30 am. Interment will be in Resurrection Cemetery, Bensalem, PA. In lieu of flowers, donations in her memory to Philadelphia Second Alarmers 2900 Roberts Ave. Philadelphia, PA 19129 would be appreciated. Carol (nee Penrose) passed away on March 18, 2019. She was the beloved wife of Tom Fitzpatrick; devoted sister of Kathleen Frank and the late Bud Penrose. She is also survived by nieces, nephews, great nieces and great nephews. Relatives and friends may pay their respects to the family Tuesday, March 26, 2019, 9:30 am at St. Cecilia Church 535 Rhawn Street Philadelphia, PA 19111 followed by Funeral Mass 10:30 am. In lieu of flowers, donations in her memory to the National Multiple Sclerosis Society would be appreciated. Marie J. (nee Carr) passed away on March 8, 2019. She was the beloved wife of the late William A. Lehner; devoted mother of Colette Della Guardia (John), William Lehner (Mary) and Janet Bentz (Gregory); dear sister of Dorothy McMahon; also survived by 10 grandchildren and 19 great grandchildren. Relatives and friends are invited to her viewing Wednesday, March 13, 2019, 10:00 am at Resurrection of Our Lord Church on Castor Ave. between Shelmire Ave. and Vista St. Philadelphia, PA 19152 followed by Funeral Mass 11:00 am. Interment will be in Holy Sepulchre Cemetery. In lieu of flowers, donations in her memory to Resurrection of Our Lord Church 2000 Shelmire Ave. Philadelphia, PA 19152 would be appreciated. Floral deliveries to Resurrection of Our Lord Church Wednesday by 9:15 am. Bernice A. (nee Fishkron) on March 4, 2019. Beloved wife to Matthew P. of 63 years. Devoted mother of Susan Morton (Vincent), Karen Smith (Robert) and the late Barbara Martin. Loving mom-mom of 6 grandchildren and 2 great grandchildren. Daughter of the late Edward Fishkron and Ada Kelly (née Simon) and sister of the late Joseph Fishkron. Relatives and friends are invited to her viewing Sunday, March 10th, from 6-8 PM and Monday, March 11th 9:00 AM at Wackerman Funeral Home 8060 Verree Rd. Philadelphia, PA 19111followed by Funeral Mass 10 AM at St. Cecilia Church 535 Rhawn St. Philadelphia, PA 19111. Interment Holy Sepulchre Cemetery. Richard J., Sr. passed away on March 8, 2019. He was the beloved husband of Lillian (nee Marquette); devoted father of Jillian Slavin (William Clouthier), Bridget Cummings (William) and Richard Jr. (Angela Bueti); loving grandfather of Samantha Gleason. Relatives and friends are invited to his viewing Thursday, March 14, 2019, 9:00 am at St. William Church 6200 Rising Sun Ave. Philadelphia, PA 19111 followed by Funeral Mass 10:00 am. Interment will be in Lawnview Cemetery. Floral deliveries to St. William Church Thursday by 8:30 am. Regina S. "Jean" (nee Palmer) born on October 16, 1952 and passed away on March 12, 2019. Jean is survived by her husband William, son Daniel (Monica), daughter Jamie (Jason) Rotella, brother James (Kathy) Palmer and her grandchildren Joseph, Palmer and Alexander. She is also survived by many nieces and nephews. Jean is preceded in death by her parents Elmer Joseph and Regina Frances Palmer (nee McGinn) and her brother Elmer Joseph Palmer, Jr. Relatives and friends are invited to her viewing Saturday, March 16, 2019 9:30 am at St. Martin of Tours Church Roosevelt Blvd. and Cheltenham Ave. Philadelphia, PA 19136 followed by Funeral Mass 10:30 am. Interment will be private. In lieu of flowers, donations in her memory to Reach Out and Read Greater Philadelphia, www.reachoutandreadphilly.org would be appreciated. Kenneth Sr. passed away on March 9, 2019. Graveside service Thursday, March 14, 2019 11:30 am at Roosevelt Memorial Park. Hazel N. (nee Holdeman) on March 5th, 2019. Beloved wife of the late Boyd J. Devoted mother of Dennis (Angie), Janet Pauzano (Albert) and the late David. Loving grandmother of 7 grandchildren and 7 great grandchildren. Daughter of the late Clayton and Estella Holdeman. Relatives and friends are invited to pay their respects to the family Saturday March 16th 10 AM at Wackerman Funeral Home 8060 Verree Rd. Philadelphia, PA 19111 Prayer Service to follow at 11:30 AM. Interment Private. Donations in her memory to Holy Redeemer Hospice 521 Moredon Rd. Huntingdon Valley, PA 19006 would be appreciated. Floral deliveries may be made directly to the funeral home by 3 PM Friday. 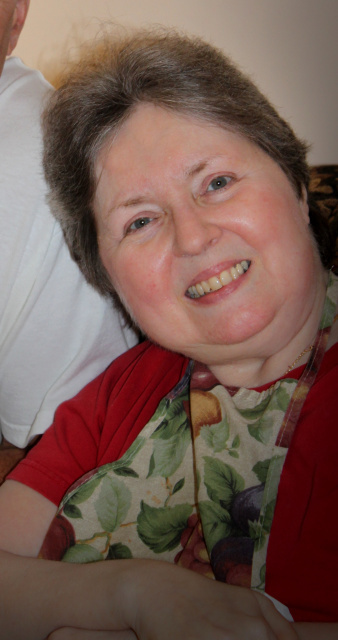 Dorothy M. "Dottie" (nee Foley) passed away on February 26, 2019. She was the beloved wife of Bart; devoted sister of William Foley (Frani), Maureen Kelch (Tony) and Michael Foley. Relatives and friends are invited to her viewing Friday, March 1, 2019, 10:00 am at Wackerman Funeral Home 8060 Verree Rd. Philadelphia, PA 19111, followed by service 11:00 am. Interment will be in Hillside Cemetery, Roslyn, PA.
Floral deliveries to funeral home Thursday by 3:00 pm. Gerard E. passed away on February 21, 2019. He is survived by his sisters, Jeanne Armstrong, Paula Unger and Lois John and many loving nieces and nephews. Relatives and friends may pay their respects to the family Saturday, March 2, 2019, 9:30 am at St. Cecilia Church 535 Rhawn Street Philadelphia, PA 19111 followed by Funeral Mass 10:30 am. Interment will be in Holy Sepulchre Cemetery. In lieu of flowers, donations may be made in his memory to St. Cecilia Church. Floral deliveries to St. Cecilia Church Saturday by 9:00 am. Joseph A. Galeone, born December 27, 1924, passed away suddenly on Friday, February 22, 2019. Joe is predeceased by his beloved wife Joan and his daughter Debbie. Joe grew up in the Rhawnhurst section of Philadelphia, son of Vito and Assunta, brother of Daniel, Rosalie, Ben and Dolores (all deceased). Joe is survived by his stepdaughter Barbara Ulmer, and was the very proud uncle of his loving niece Susan Kelly. A WWII veteran, Joe served in Okinawa with the U.S. Marine Corps. His group was "first in" on Easter Sunday, April 1, 1945, and saw action until the battle ended on June 21, 1945. Joe lost many of his fellow Marines, and never forgot them. He was honorably discharged as a Sergeant on May 1, 1946. Joe was a Philadelphia Firefighter and rose to the rank of Captain. While on the job, Joe sustained major injuries which prevented him from further active duty. Joe then served with the Retired Police, Fire & Prison Guard Association as a dedicated member for over 50 years. 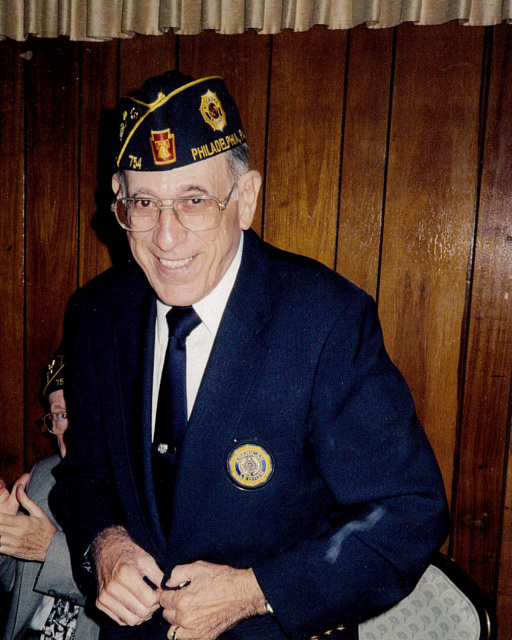 Joe Galeone was instrumental in founding the Rhawnhurst-Castor American Legion Post 754 and has been an active member for over 70 years. Joe served in various positions at the Post, ultimately receiving the prestigious "Blue Cap of the Year" award in 1991. This award is given to only one legionnaire in each state. Joe was a member of the League of the Sacred Heart of Jesus, among other religious, veteran and civic groups. Joe Galeone served God, his family, community and nation for his entire life, and will be missed by many. Viewing will be held at St. Matthew's Church, 3000 Cottman Avenue, Philadelphia 19149, from 9:15 a.m. until 10:15 a.m., on Monday, March 4, 2019, followed by Mass of Christian burial at 10:30 a.m. Interment will be at St. Dominic's Cemetery, 8504 Frankford Avenue, Philadelphia, PA 19136. In lieu of flowers, family has requested contributions be made to Rhawnhurst-Castor Memorial Post 754, P.O. Box 63047, Philadelphia, PA 19114. Floral deliveries to St. Matthew Church Monday by 9:00 am. Margaret C. (nee Schreiber) passed away on February 27, 2019. She was the beloved wife of the late Edward Jackson and Chester Andrzejewski; devoted mother of Edward (Terri), Robert (Linda) and William; dear sister of George Schreiber; loving grandmother of Christopher, Daniel and Patrick. Relatives and friends are invited to her viewing Tuesday, March 5, 2019 at St. Cecilia Church 535 Rhawn Street Philadelphia, PA 19111followed by Funeral Mass 10:30 am. Interment will be in Our Lady of Grace Cemetery, Langhorne, PA. In lieu of flowers, donations in her memory to The American Cancer Society 1626 Locust St. Philadelphia, PA 19103 would be appreciated. Floral deliveries to St. Cecilia Church Tuesday by 9:00 am. 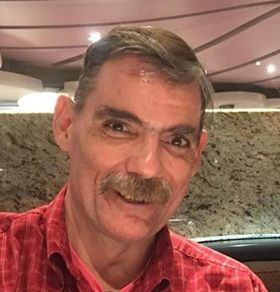 Dennis F. passed away on February 23, 2019. He was the beloved husband of Josephine M. (nee O'Neill); devoted father of Christopher; dear brother of Sr. Regina Maureen, and Joseph (Dottie); brother-in-law of Dorothy Miller (Robert) and Elizabeth Simon; also survived by nieces and nephews. Relatives and friends are invited to his viewing Tuesday, March 5, 2019, 9:30 am at St. Matthew Church 3000 Cottman Ave. Philadelphia, PA 19149 followed by Funeral Mass 10:30 am. Interment will be in Washington Crossing National Cemetery, Newtown, PA 18940 at 1:00 pm. In lieu of flowers, donations in his memory to Alzheimer's Association 399 Market St. Suite 102 Philadelphia, PA 19106 would be appreciated. Floral deliveries to St. Matthew Church Tuesday by 9:00 am. If you do not see the service details you are looking for please contact the funeral home at 215-342-5200 at any time to hear all current service information.